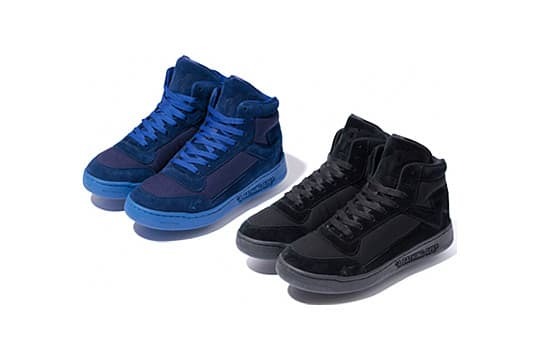 A Bathing Ape has let loose a set of its Bape Sta 88 Mids in tonal black and blue colorways. The bulky sneaks feature a suede upper with BAPE branding on the tongue, heel, and midsole alongside. If you&apos;re looking to cop, check your local BAPE carrier.